This client elected to go with a Refrigerator Vent Combiner Box instead of our usual Roof Combiner Box because they didn’t want to have another hole drilled into their roof. The Refer Vent Box utilizes the existing hole that is used to vent the refrigerator, but it can only accommodate up to four solar inputs. It’s not a bad option if you’re definitely not going to expand, but it is obviously limited. 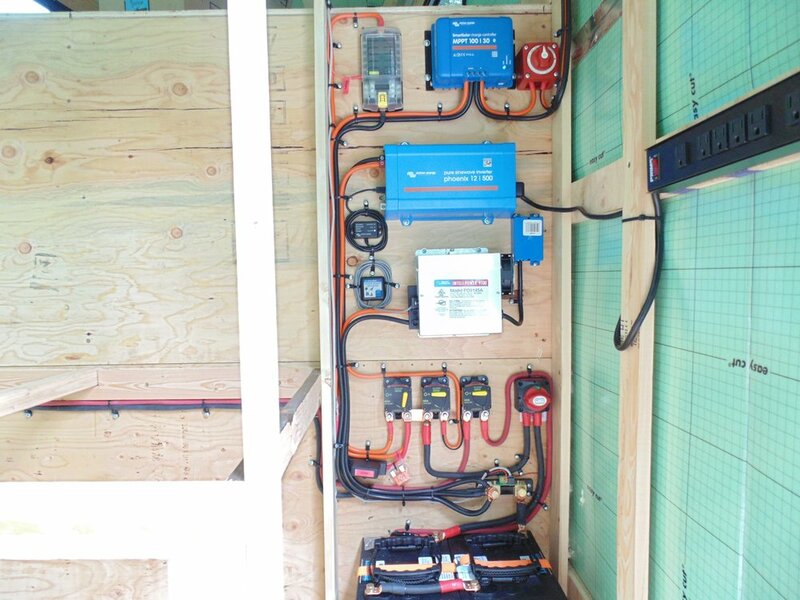 The Roof Combiner Box we manufacture allows for eight solar inputs, doubling the possible capacity. 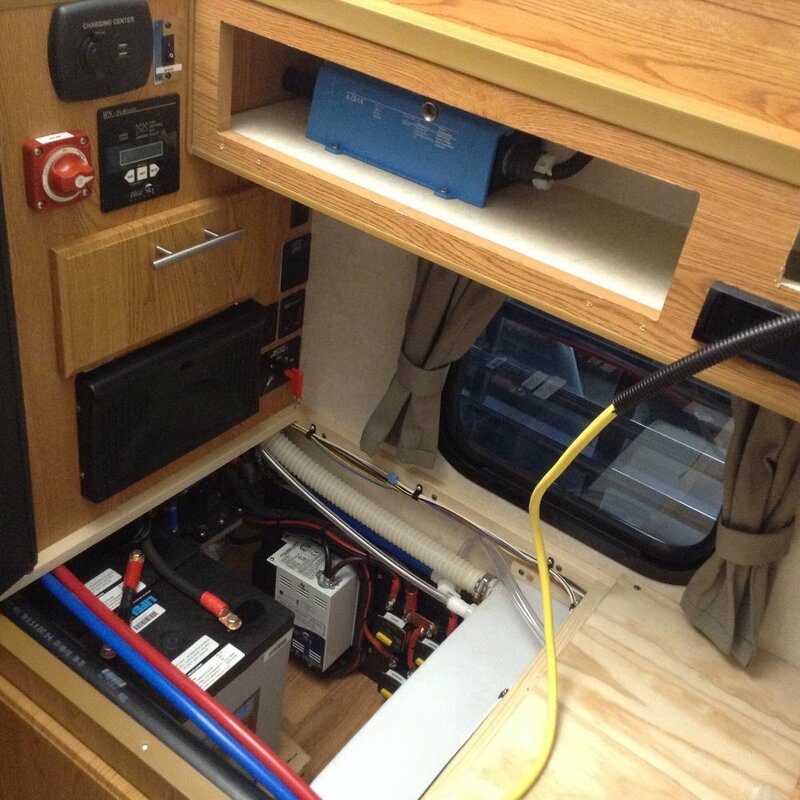 This weekend camper came to us to have a small solar system installed with the potential for future expansion. 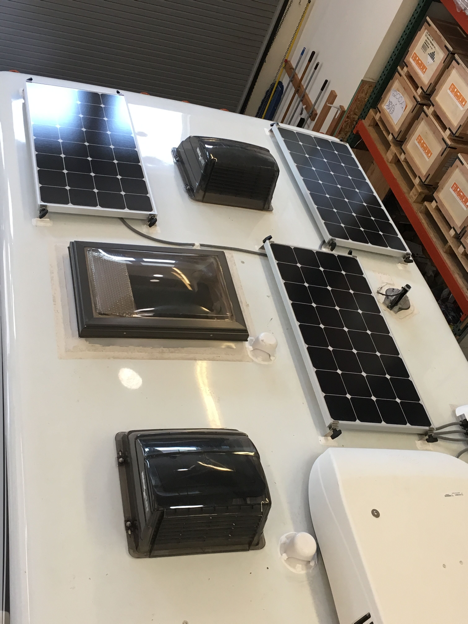 The SP100 solar panel we installed will help power his light DC loads while the camper is in use. 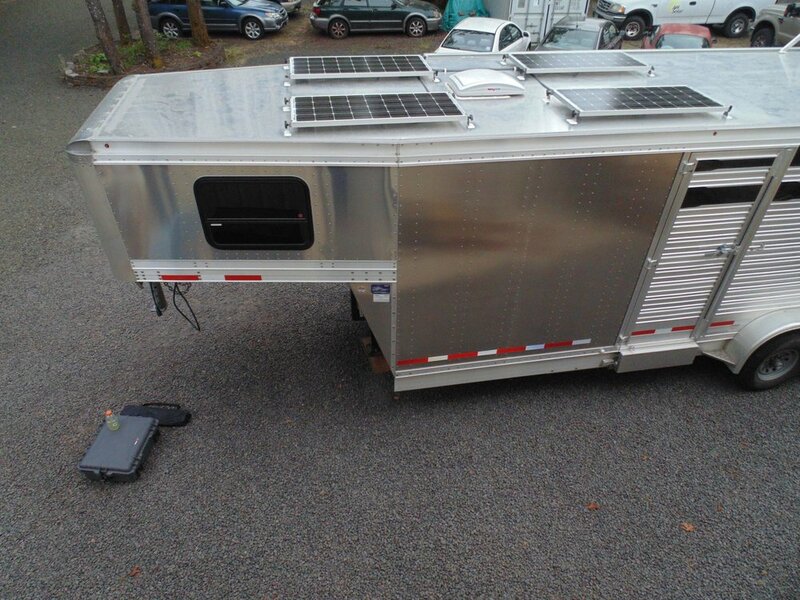 When the camper is not in use the solar power will help keep his batteries charged and in good health. 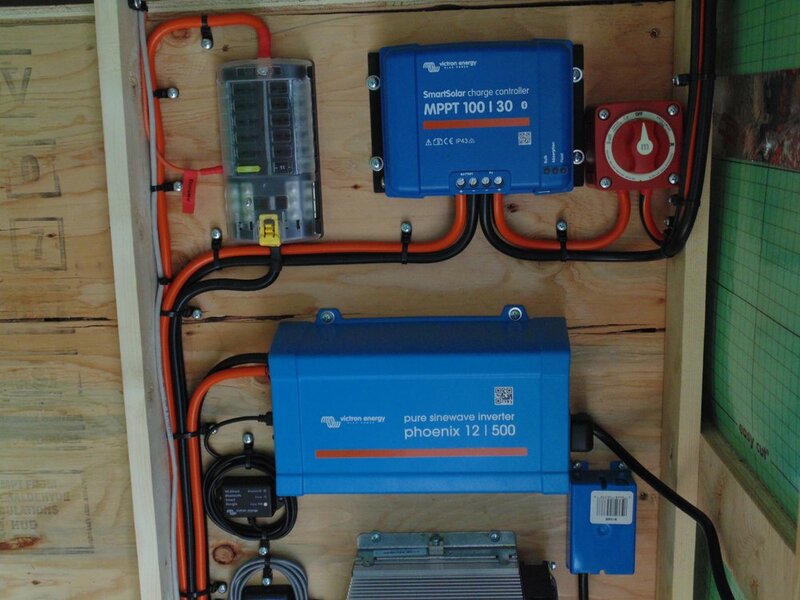 We also installed a Victron BMV-702 Battery Monitor to allow him to easily monitor the charge level of his battery bank. 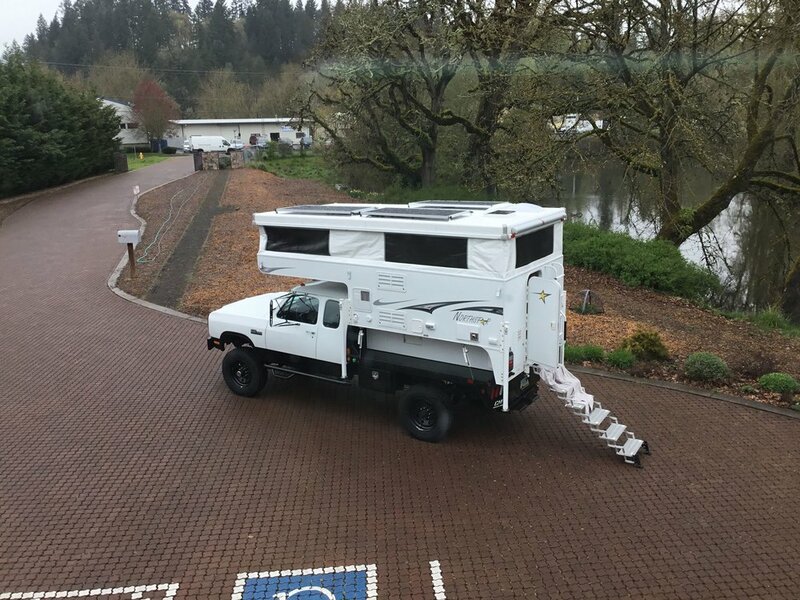 We get several Cab Over Camper projects each year. 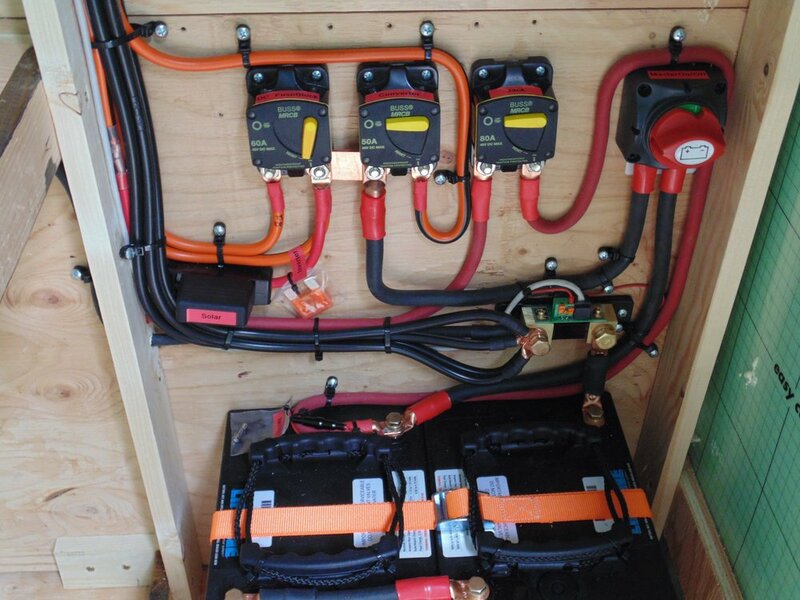 This particular camper will have ample power for a variety of DC loads. The 320W solar charger will keep the 220Ah AGM battery bank healthy for many years.